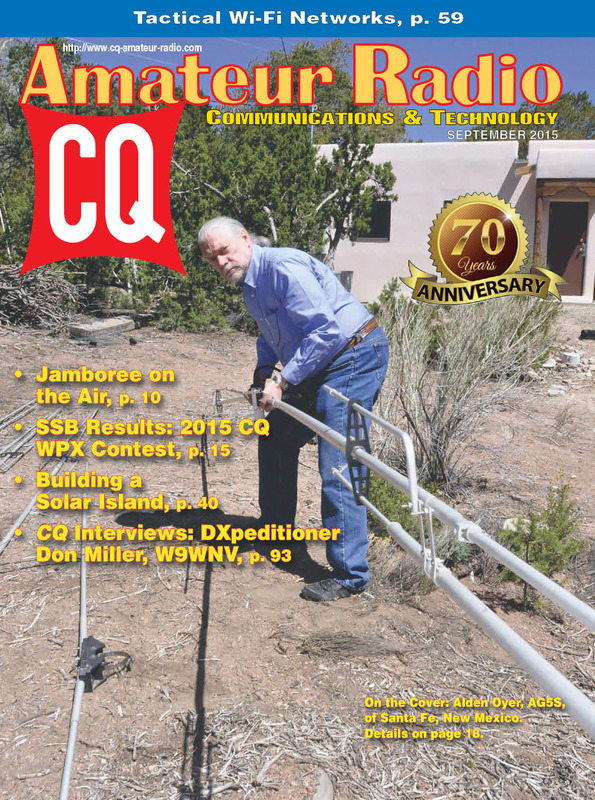 The September issue of CQ has a little something for everyone, from DX cops and Scouts on the Air to memories of a recently-departed mentor and an interview with iconic - and controversial - DXer and DXpeditioner Don Miller, W9WNV. We start with a look inside Jamboree on the Air (and Internet), and at how you can use this event as an opportunity to introduce young people to the magic of amateur radio. 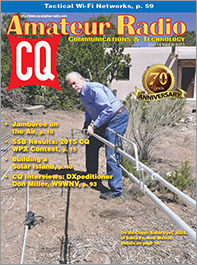 We've got the SSB results of the 2015 CQ WW WPX Contest, which included seven new world or continental records; the story of a memorable mentor and a look at the psychology of the "DX Cop." Like projects? 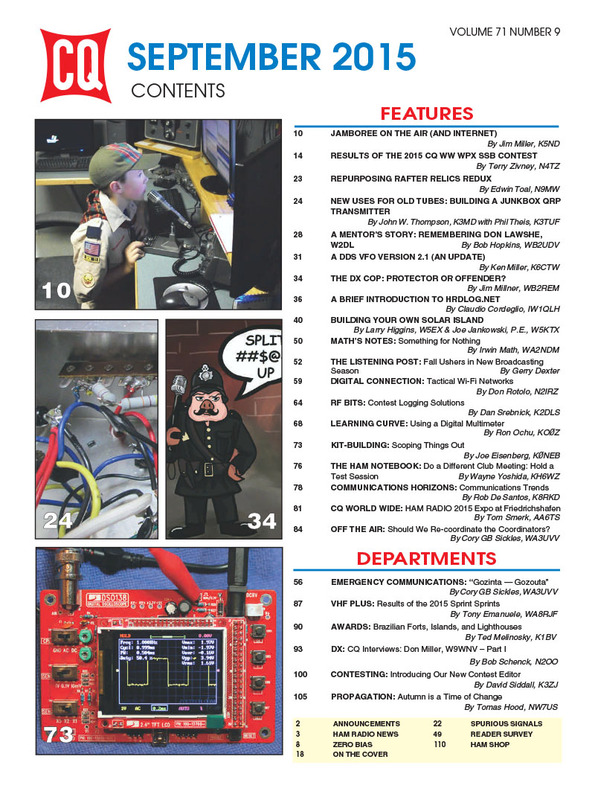 This issue has four of them, including a junkbox QRP transmitter, two updates on previous project articles and a virtual textbook on installing a safe and effective solar power system. 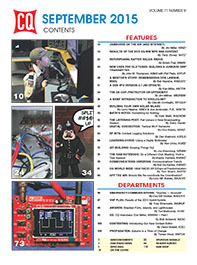 Among our columns, we help you prevent interface conflicts, build a tactical Wi-Fi network, build a low-priced oscilloscope kit and, if you're just getting started, the basics of using a digital multimeter - probably the first piece of test gear any ham should own. Finally, September's DX column features part one of an interview with one of the pioneers of DXpeditioning, Don Miller, W9WNV. That's a brief look at what's coming up in the September issue of CQ magazine. For information on becoming a CQ subscriber - to either our print or digital edition – click here! Zero Bias –The Age of the "Virtual Elmer"
On the Cover: Alden Oyer, AG5S, of Santa Fe, New Mexico.